It’s soup season again and – I’ll be honest right up front – until November 8 we thought perhaps Soup & Bread had run its course. Maybe, we wondered, it’s time to pass the baton, and do something else. Wouldn’t it be nice to go somewhere warm in February? So, in that context we’re asking soup cooks to bring soups that celebrate Chicago’s immigrant heritage – either your own or someone else’s. Bring on the pozole, the borscht, the harrira; the shorbit amas and the soupe joumou. We’ll be collecting recipes again and if we get enough we’ll even try and put together another cookbook. 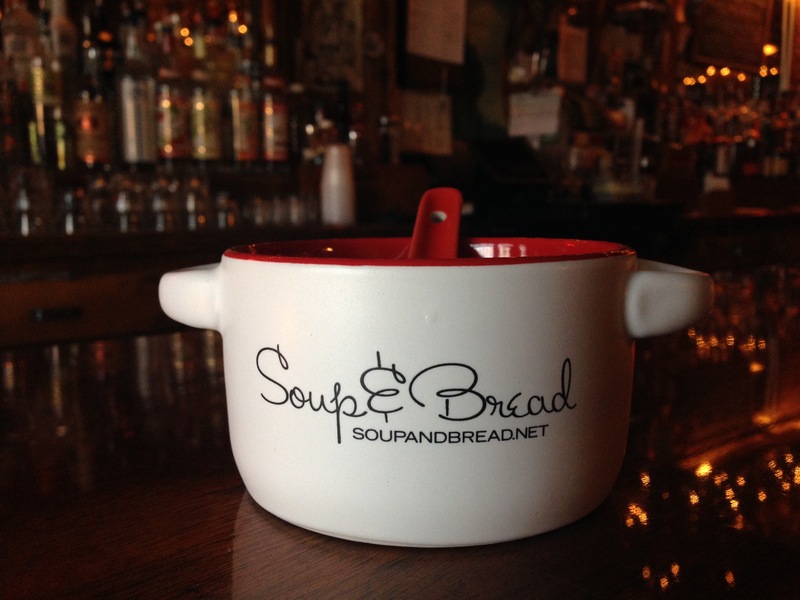 To volunteer to cook, pick a date and email martha@soupandbread.net — and check the FAQ to see what all’s entailed. Our kitchen table may be a row of poky crock pots in the back room of a bar, but the sentiment holds. 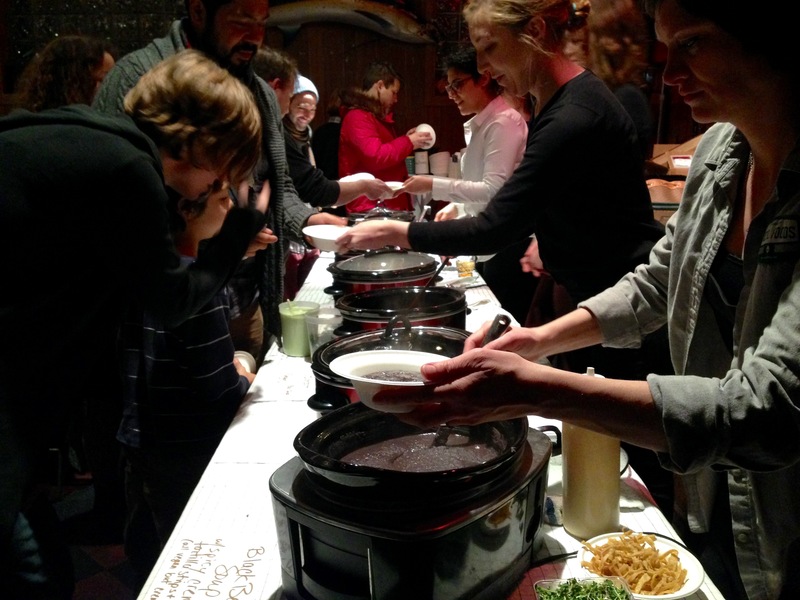 Come out and join us for sustenance and sanctuary this winter and help us rebuild one little corner of the world. PS: Oh whoops, one more thing. This month we’ll be selling cookbooks, bowls, and other Soup & Bread stuff at some holiday sales around town, including the Bloodshot Records Holiday Popup Shop on Dec. 3 and the Hideout Last Chance Holiday Sale on Dec. 20. Check the calendar at the bottom of this site for more as they materialize. I have made gumbo in large quantities for 30 years for Cajun events and for the University of Chicago folk festival; would be happy to contribute to a Soup and Bread event. Deeply concerned about the state of our country — also a strong believer in communal meals — and soup! Thanks for doing this. Hi Jane — Will be in touch soon! Thank you.